At Davis Trailer World we stock multiple styles and brands of mud flaps in our parts department. We also have the option to custom order from our distributors to match the Year, Make and Model of your vehicle. Contact us today for more information. 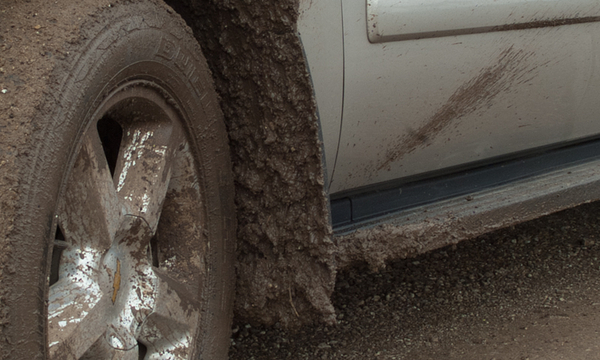 Husky Liners™ custom molded Mud Guards are made from durable, impact resistant all-weather thermoplastic that’s as tough as nails (or rocks for that matter). They’re easy to install, conform perfectly to your fenders, and protect your ride and those around you from the rage of the road. Let them splash guards do the work. Huskey Mud Guards offer a lifetime guarantee and are made in the USA! 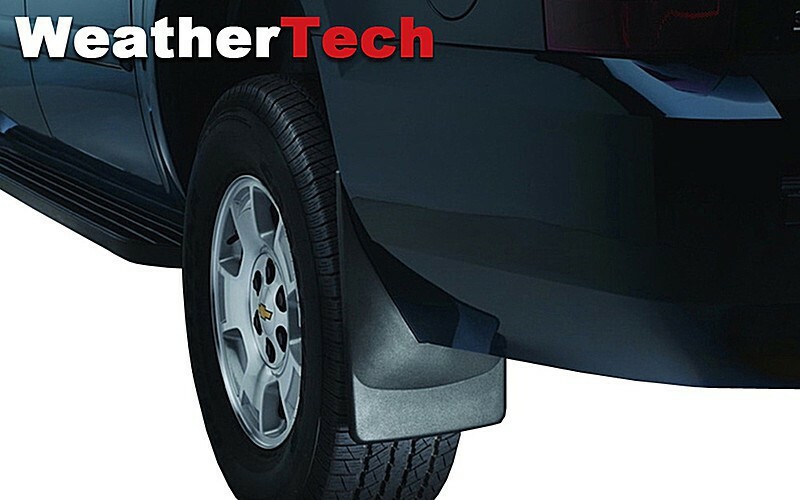 The WeatherTech MudFlap – Laser Measured for a Perfect Fit set literally “mounts-in-minutes” (in most applications) without the need for wheel/tire removal, and most importantly – without the need for drilling into the vehicle’s fragile painted metal surface! Contoured specifically for each application and molded from a proprietary thermoplastic resin, the WeatherTech MudFlap will offer undeniable vehicle protection. Featuring the patented QuickTurn hardened stainless steel fastening system. 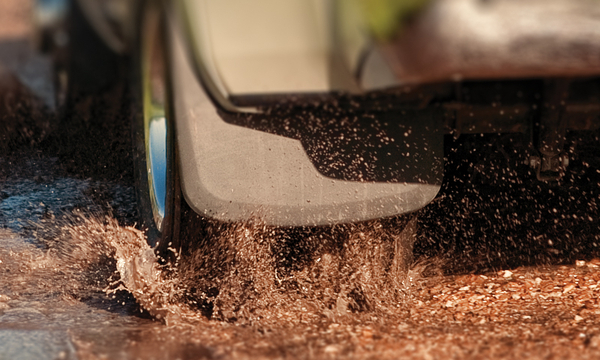 WeatherTech MudFlaps provide protection for your vehicle’s most vulnerable rust area; protecting the fender and rocker panel from stone chips, slush, dirt and debris. 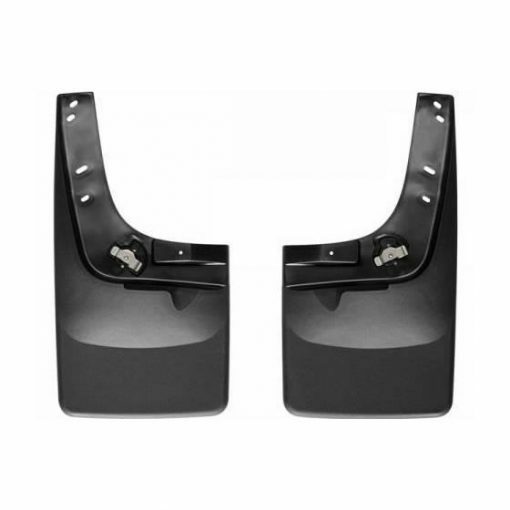 We stock universal rubber mud flaps that come in many shapes and sizes for all vehicles and trucks. 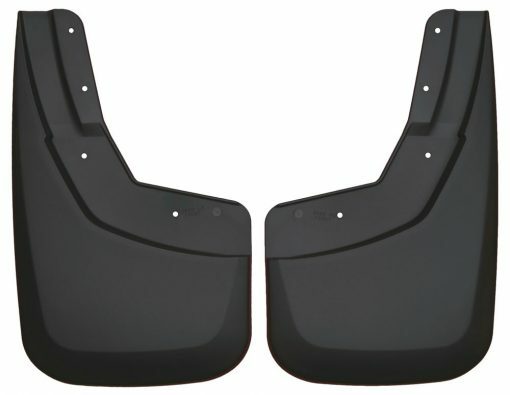 These mud flaps are quick, easy and inexpensive.